BRIGHTON, Mich. - Just living through one Michigan winter is enough to understand that cold-weather testing is a VERY important aspect of vehicle design. Ford Motor Co. goes to the extreme in cold weather testing, pushing its vehicles through the worst weather conditions imaginable at the McKinley Climatic Laboratory at Eglin Air Force Base in the Florida panhandle. Ford tests vehicles of all sizes – from the Focus to the F-150 Super Duty – at this state-of-the-art military facility, which pushes the limits of extreme cold-weather testing in order to improve vehicle quality and performance. Engineers at the facility can bring the temperatures down to minus 40 degrees Fahrenheit in a span of just 10 hours. 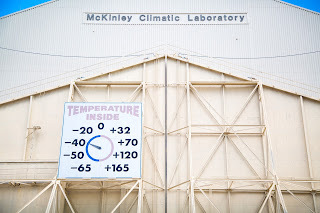 The hot and humid climate of the western part of Florida has little to no effect on the frigid temperatures inside the facility which makes it ideal for simulating the icy conditions of a winter in Alaska's Prudhoe Bay or Canada's Yellowknife region. Typically, engineers are nowhere near a naturally frigid environment in the middle of the automotive development stage. This stage just so happens to be around the middle of the summertime, thus Ford engineers flock to this facility to test their models in the most frigid temperatures available to them. Even though most us are not working the frozen regions of Alaska or the Yellowknife region of Canada, Michigan winters can get pretty dangerous, which is why feeling confident in your automobile during the winter is so essential. Engineers have the opportunity to accommodate 75 global production models of various sizes for the rigorous testing. For example, thanks to this rigorous testing, Ford's engineering team was able to recognize that replacing the metallic plugs in the 6.7-liter engine that powers the current F-Series Super Duty with ceramic gold ones enabled the engine to heat up more quickly and efficiently for a more powerful start. 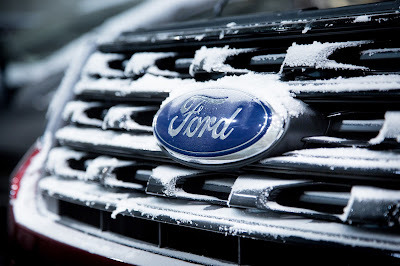 It's very comforting to know that Ford goes to the extreme in cold weather testing, all to be 100% sure and confident that its vehicles can take you through almost ANYTHING the winter environment can throw at you. If you would like to stop by and take ANY of our cold weather certified vehicles, feel free! Stop and chat with any of certified sales associates who will be happy to help you find your perfect vehicle. Have some questions about your current models cold weather preparedness? Our excellent service team can answer all of your questions! Stop by your Howell Area Used Car Dealer today! Brighton Ford is located at 8240 Grand River Ave. just north of I-96 in Brighton. We are a family owned and operated business that strives for customer satisfaction. For more information on Brighton Ford visit BrightonFord.com or give us a call at (800) 836-8206. Follow us on: Facebook, Twitter, Pinterest, Google+ and Instagram.